Modern Designer Masterpiece On Half an Acre! This sensational, near new home will deliver your family the luxury upgrade they deserve! Set on a 1/2 acre (approx.) and finished to a standard only ever achieved when the home is the builder's own, this showstopper is designed with today's modern lifestyle in mind. 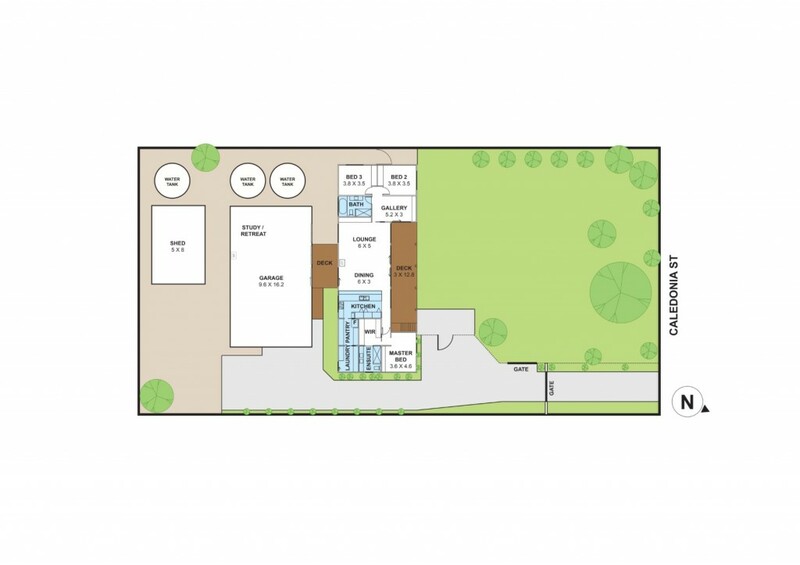 The impressive design begins with a beautiful open plan living/dining zone that links to a fabulous covered alfresco deck and captures beautiful bushland views. The state-of-the-art kitchen showcases quality appliances (pyrolytic oven, induction cooktop), walk-in pantry and an abundance of sleek soft-close cabinetry, while the flexible second living space presents a relaxed TV retreat or rumpus room. The master bedroom enjoys a luxurious ensuite and dressing room, while 2 further bedrooms (with robes), designer bathroom and dream laundry complete the floor plan. Outside you'll find yourself in a tradesman's paradise - a substantial 10-car garage complete with internet, wood fire and home office. Further highlights include reverse cycle ducted heating/cooling, double glazing, security system, 4.2kW solar electricity, 88,000l water tanks and a big 2nd shed with remote door and power. With plans approved for an extension, to add a fourth bedroom and another living area if required. you can walk to school, general store and Saturday market with ease.